It’s not easy to manage a small business, let alone a corporation that tries to keep up with the demand of having enough resources to cover the needs of business operations by a large scale, especially for businesses that always look for continued growth and expansion. You may also see Contract Templates. Indeed, a businessman’s front liners, no matter how skilled and talented they are at multitasking, can only do so much, and a lot of companies, no matter how hard they try to make it through the industry’s competition, have never been so challenged in managing labor costs that they look to take advantage of the closest alternative available in order to hold on to their short and long-term business goals by way of outsourcing their services and contracting with a third party entity to do certain tasks and processes. Outsourcing defined is the practice of using outside firms or third party contractors to deal with work that’s usually performed by a company. It is a concept that isn’t alien to any entrepreneur, especially for small companies since they have to routinely outsource their work processes such as payroll, accounting, distribution and other important administrative tasks, mostly because they really have no other choice. 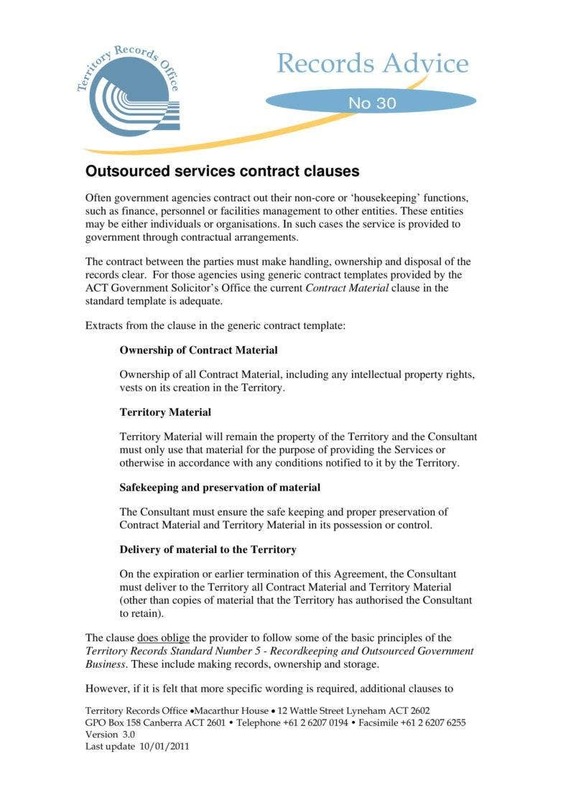 You may also see service contract templates. In the case of large companies, however, outsourcing is most beneficial for cutting down costs. As a result, the entire business world has turned to outsourcing to serve for other companies’ needs that are always evolving and becoming more demanding, and BPO companies have gone on to become a bankable industry, serving the economy at a global scale. You may also see simple service contracts. Instead of hiring employees and go through the headaches of Hiring and Recruitment for a new set of staff, a company can grow and save a lot of money when they know how to outsource properly, with the right company and work with the right people, for the right reasons. Outsourcing also offers a whole lot of other benefits for the company that uses it as a big part of their overall business strategy. It’s the kind of practice that has gained a lot of popularity since the early 2000s and by the looks of it, even amid political debates over having to outsource jobs to other countries, it’s not going anywhere just yet. Over the past two decades, outsourcing has become hotly debated because it is understandable that people don’t like the idea of being stripped of too many opportunities that they think are rightfully theirs, and outsourcing in other people’s opinion, does just that. 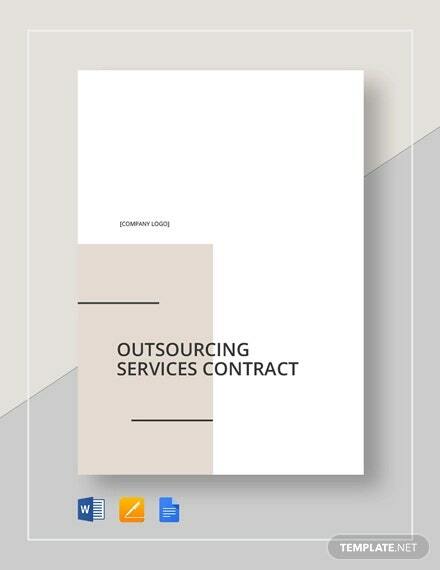 In the realm of most small businesses, however, outsourcing doesn’t necessarily require hiring people at the other side of the world to do some tasks and represent the company well, as stated in the employment contract of their Outsourcing firm. When businesses that aren’t as large as global brands in major industries talk about outsourcing, they usually refer to extending content work to freelance designers, writers, hiring an accounting firm to take over their bookkeeping tasks or being dependent on an agency to monitor and deploy hired help for their clients. More than the BPO (Business Process Outsourcing) hype, businesses across the globe have found such a strong ally by outsourcing their services over the years. The threat of recession had subjected them to think twice about costs and how they can cut it to manage their operations properly and at least survive the competition if they can’t keep their place I the industry. Of course, the latter is more appealing. 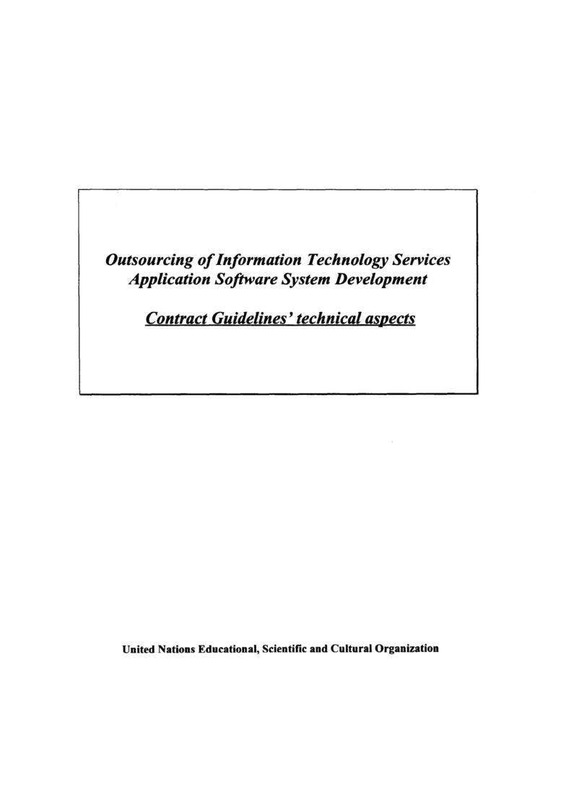 You may also see sample service contracts. Back in the early 90’s, companies, the United States economy has seen a damaging rise in labor costs, and so they have found it only right to turn to outsourcing, as it developed and went on to become not only as a great cost-cutting measure but also as a useful tool for business plans and strategies, that today, amidst debates, it’s still more than an attractive option for businesses of all shapes and sizes, across all industries. Initially, outsourcing served as a saving grace of large companies. Recently, however, SMEs have discovered that they can manage their budget and time more efficiently and bring their control and process to a whole new level by outsourcing part or all of their business tasks. It’s quite obvious that companies will inevitably incur overhead costs in trying to meet statutory demands like legal papers, taxes, insurance, payroll, accounting expenses, health and safety, making it one area where outsourcing should be a solution for its proven effectiveness. In most cases, Small and Medium businesses lack resources to address the needs of their back office process thereby relying on the existence of outsourcing making it live up to its hype. First of all, outsourcing your service will extend the benefits gained from its processes and economies of scale. Second, it had already been established that an outsourced company can reduce labor costs because you get to pay a lower salary to employees if the contractor is from a location or country that has lower costs from that of your country. Such is the case of call centers in Asia and the Middle East, answering calls from global companies with headquarters based in the United States. The burden of employment law gives you an advantage through saving costs for HR and payroll administration and even from lower occupancy costs which is the result of a much lower headcount. 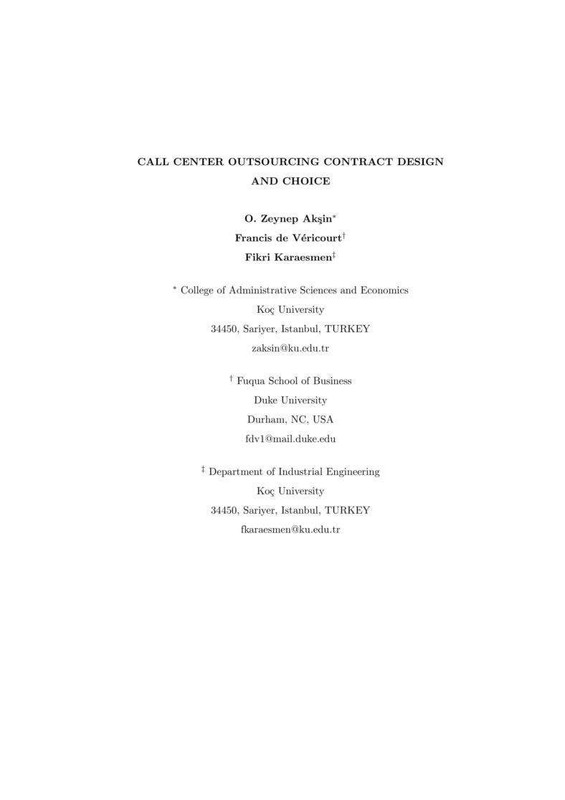 You may also see consulting contract templates. Of course, managing labor costs isn’t the sole reason for outsourcing but it definitely is one of the biggest factors. When you outsource, fixed costs are somehow converted into variable costs, frees the initial investment elsewhere in your company and offers a large range of expenditures in your business’ early stages. A firm also increases its value to investors since they can see that you’re capable of generating more capital directly into processes that produce so much more in revenue. You may also see yearly contract templates. A company’s back office tasks tend to increase when there’s also an increased period of growth. And growth in business often results in consuming financial and human resources at the expense of the actual operations that had made your business into what you enjoy and take pride of, in the first place. The core activities of a company is very important because that’s supposed to be its backbone, therefore to outsource these activities can make turn your focus into the in-house resources which makes your company profitable without having to sacrifice service or quality. Through an outsourcing company, one buys a ‘piece’ of many different people with different skill sets and with different levels of experience. Thus, an appropriate level of resource can be allocated to a particular task at the appropriate costs. Businesses who depend on themselves and their resources also tend to do more in marketing, research, development and expenses distribution, all of which, in one way or another, would be passed on to their customers. If you have a third party provider, the structure of their cost and economy of scale will increase your company’s advantage in terms of being able to compete. 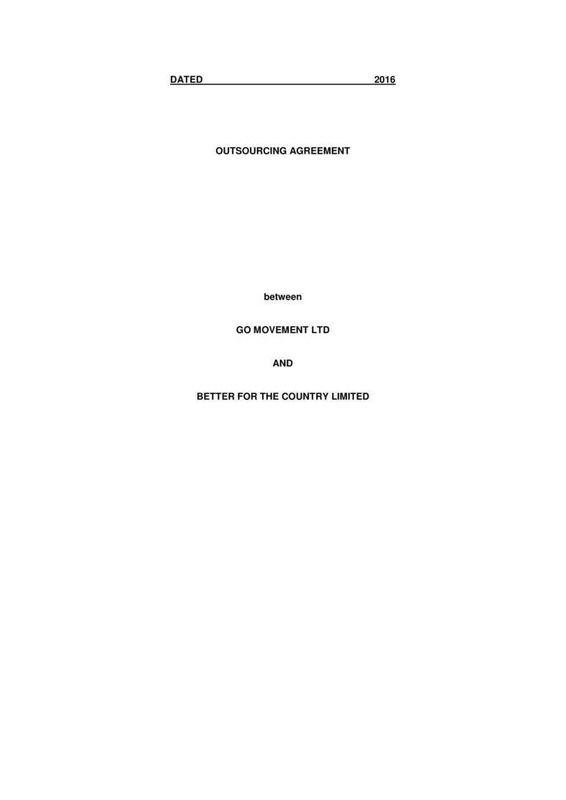 You may also see landscaping services contract templates. You also get more experts on board. Even if your own team can perform at a level expected of them and maybe beyond what’s asked of their jobs, this much remains to be true: No one is perfect. With that said, they cannot do everything and oily by outsourcing certain tasks can companies allow themselves to improve their performance at a grand scale through the drawing on the core skills of professionals at specific, different fields. You may also see lawn service contract templates. Generally, the project needs a lot of variable resources so that they can push through and succeed. In an In-house function, a lot of problems can occur in identifying and hiring the kind of staff that’s capable of meeting what the project demands. An outsourcing firm that has been proven in the industry will be able to provide the right resources, the skills, and flexibility that can more than accommodate what a project needs, and at the time it needs to be completed. 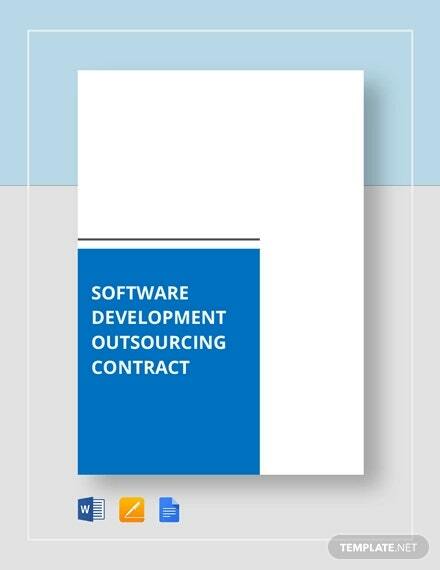 In these cases, outsourcing can be a very cost-effective, practical solution. It would also make way for other ad hoc project tasks that are begging to be finished. 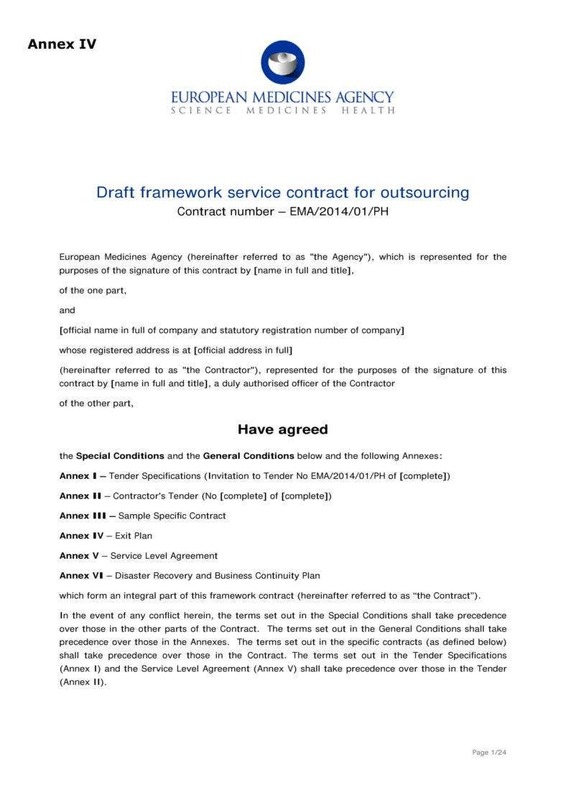 You may also see bartending service contract templates. To this day, there are still companies that haven’t fully grasped the concept of outsourcing nor have they been able to explore is potential or its advantages in strategies for expenses and management of business functions, which they could use as the challenge in trying to provide the service that their clients need continues to grow. 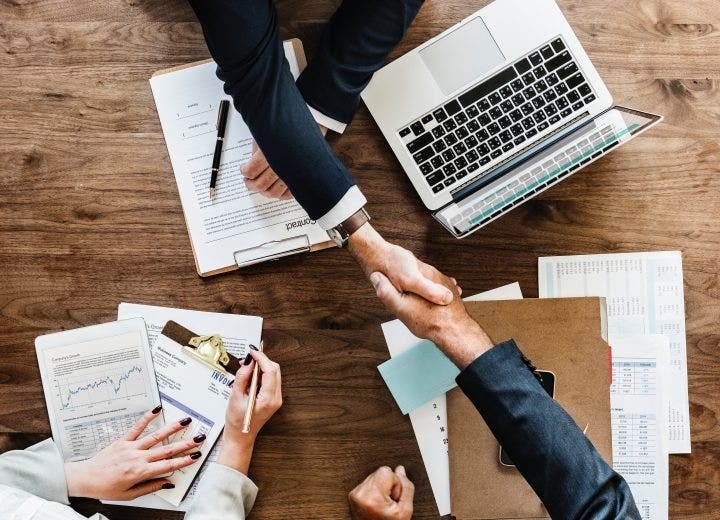 The introduction of outsourcing into a business infrastructure that’s new to it can broaden business experience and better insight while they anticipate the results that it can give in just a short time. 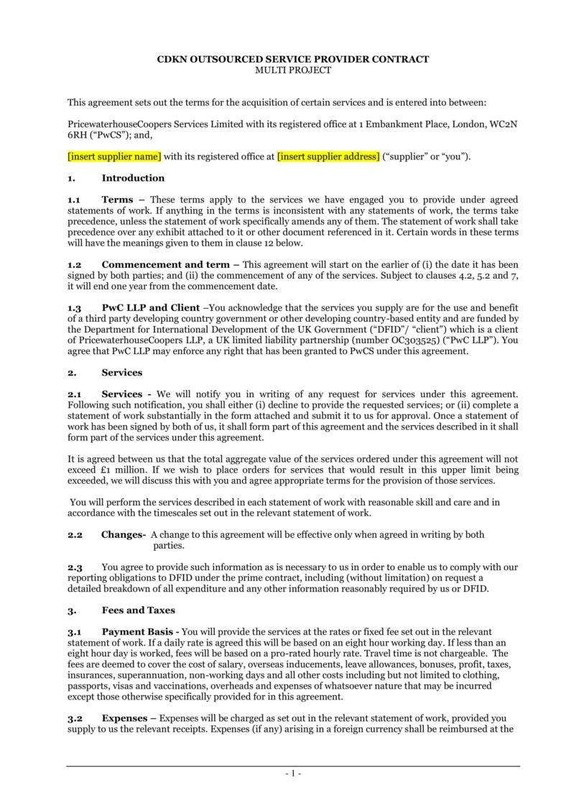 You may also see food service contract templates.